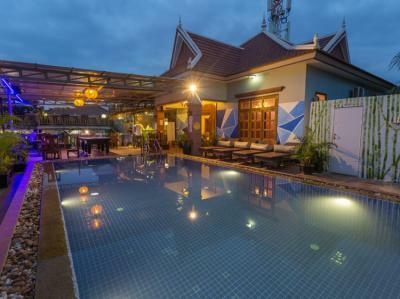 Siem Reap - Hotelek Siem Reap. Siem Reap térképek, fotók és ajánlások minden egyes Siem Reap hotelről. 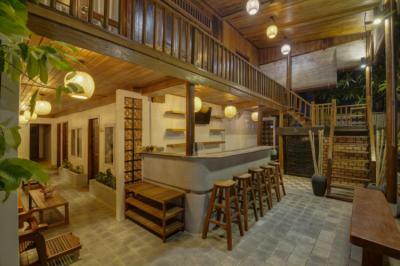 Hostelt, ifjúsági szállót, olcsó hotelt, apartmant, turistaszállót, panziót, vagy szállást keres Siem Reap-ban? Ne keressen tovább, minden jó ajánlat Siem Reap-ban Hostelek.com. Havonta több ezer különböző korú vendég foglal szállást minden környéken, ami megtalálható Siem Reap-ban. Ezen az oldalon könnyen talál szállást a belvárosban, trendi környéken, és egyetemi területen, közel buszpályaudvarhoz, vasútállomáshoz, repülőtérhez és minden látványossághoz Siem Reap-ban. 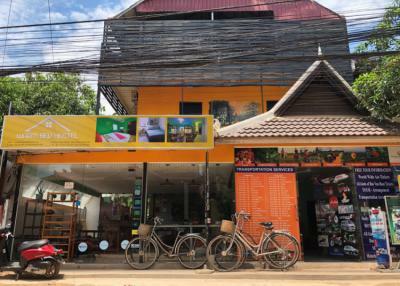 Located in the center of Siem Reap, the hostel is only a 5 minute walk to the famous Pub Street and 7km from the Angkor Temple complex. Staff is really friendly and always trying to make the best out of your stay. Great room designs which provide convenience to the guests. I love how they have a personal tuktuk in front with a reasonable charge to go around the place. This place is definitely hands down amazing. The pool area is very nice and a perfect way to meet fellow travelers. The rooms are spacious, beds are big and the whole place is really clean. Pretty well run hostel by people who really knows how to run a hostel business. They have air conditioning in their rooms, spacious areas, big pool, rooftop bar, great dishes its all good vibes everywhere. The hostel is strategically positioned, walking distance to the famous Pub Street and Night Market. The hostel also supports local jobs and charities which is very good. The staff of the hostel are really amazing they really know how to keep the crowd going and makes sure everyone is having a good time not only that, after the bar closes at midnight you cannot hear loud music upstairs. The pub crawls are highly recommended. We are surrounded by local restaurants, bar,s Pub-street, night market, banks, 24 hours ATM, international cinema, bakery shop, coffee shop, local market and a supermarket. We are located in the heart of Siem Reap, just a 10 minuntes walk to Pub street and the famous old market. Just 20 minutes away from the airport and 15 minutes via Tuk Tuk. This is one of the cleanest place I've seen/been to. Wonderful staff, very warm and helpful. The ambiance is relaxing, and the place is beautifully designed/decorated. We had goodnight sleep the entire stay. Thank you for the wonderful experience. A surprisingly very nice hostel. The rooms were spacious and clean. Beds were really nice and comfy. The staff were kind. The amenities were great. Food was good. Price is just right. Great value! By Far, the most amazing hostel experience in Cambodia. The rooms and art deco are tastefully made. Its very affordable and you will definitely get your money's worth. The vibe is amazing and they have this amazing swimming pool which is very welcoming on the weather. They organize events and pub crawls. Great staff. The hostel is surrounded by Local restaurant, Bar, Put-Street, Night Market, Banks, ATM-24 hours, cinema, bakery shop, coffee shop, local market and supermarket (open 24hours on safe walking distance). The accommodation is only 5 km away from Siem Reap International Airport. The world heritage site of Angkor Wat is located 4.8 km away, the nightlife Pub Street is 700 meter from the hotel and famous attracting places in town like Phare Cambodian Circus, National Museum, Royal Resident, Theam’s house, Artisan D’angkor, lucky shopping center and much more. Clean rooms and toilets, beds are large the staff/owners are accommodating. There were some construction going on the hostel so I’m hoping to see more when I come back. 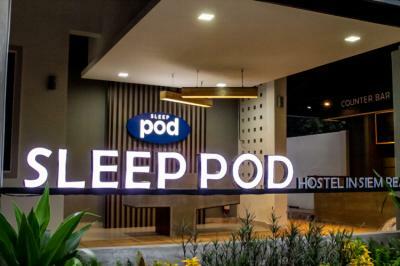 Location is very close to Old Market, Pub Street, Night Market, restaurants, cinema, etc Not much for socialization more like a capsule hostel. They clean the rooms and toilet everyday so that’s good. The staff of this Siem Reap hostel was welcoming. Clean dorms. Good location. 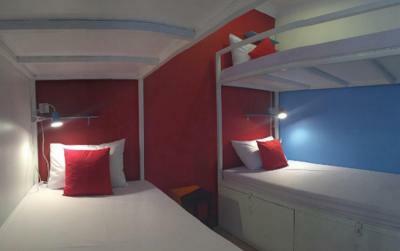 Clean Siem Reap Hostel. I felt safe when I arrived and it was easy to meet other backpackers. We are located on the river, just 2-3 minutes walk across the new wooden bridges int the heart of central market, the French Quarter and Pub Street. Mini marts and western supermarkets are located within an easy, safe distance. The hostel is located not too far away from the pub street and night markets. They have good size cozy beds with airconditioning. They have pool tables and a pool. 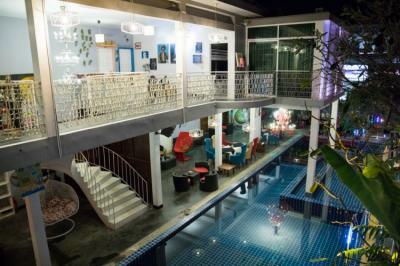 Although not a party hostel, they have an inhouse bar/restaurant and also offers happy hours. Service was good. You get to have the necessities for such an affordable price. It is a walking distance to the city center, with reliable wifi, linen towel and a pool at such a meager price I highly recommend! There are working spaces in the lobby with plugs for your convenience. Breakfast consists of toasts and jam and some fruits. It would also be a good idea if they can add pancakes or eggs in the future. The rooms are clean and there is a pretty relaxing pool on the rooftop. The pool was very welcoming amidst the hot weather. There is a cafe and bar with a selection of local dishes and an amazing bartender with a really good sense of humor and makes amazing cocktails! The owner went out of his way to introduce himself and ask what he can do for the guests the staff made everyone feel welcome.